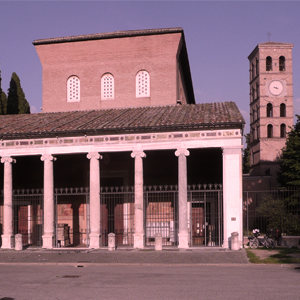 The bike tour of the Seven Churches of Rome is an ancient pilgrimage that was practiced by the faithful on the occasion of Good Friday and / or Holy Saturday. Historically the pilgrims had the opportunity to pray in the same day, or at most two days, in the seven different churches presents on the way. Besides the historical / religious footprint , the bike tour of the Seven Churches of Rome is a really great tour that will bring you to visit the most spiritual part of Rome and the oldest and most important churches that have marked the cultural history of this city.